Judy Talton is in college with a US Army scholarship. She's been sworn into the army and will do 2 years of college and then 2 years at Walter Reed to get her nursing degree and then additional years as an Army nurse. As she begins her second year of college, she is starting to question the war in Vietnam and secretly joins the anti-war movement on campus. Her involvement has to be kept secret or she could lose her scholarship and she doesn't want her new friends in the anti-war movement to know that she is a member of the Army. This book covers the time period of September 1969 - January 1970 when the daily body count in Vietnam continued to increase, the first draft lottery took place and the divisiveness of the country continued to grow. 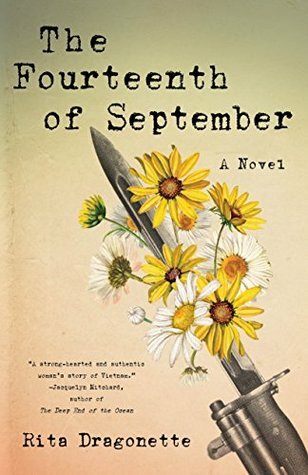 I thought that it was very unique of the author to tell the story of these months from a female standpoint rather than the normal male point of view. It had much more depth and insight than we normally see in books about war. The author's portrayal of Judy was so well done that I felt like she was someone I knew in college. Her personal conflict was a vivid portrayal of life during this time. I highly recommend this coming of age novel to anyone who either wants to learn about this era in American History or people who want to re-live it in their own minds. I definitely enjoyed it and Judy is a character who will live in my mind long after the last page. This is a MUST-READ for anyone who enjoys a great book. Opposition to the United States involvement in the Vietnam War began with demonstrations in 1964 against the escalating role of the U.S. military in the Vietnam War and grew into a broad social movement over the ensuing several years. This movement informed and helped shape the vigorous and polarizing debate, primarily in the United States, during the second half of the 1960s and early 1970s on how to end the war. Many in the peace movement within the U.S. were students, mothers, or anti-establishment hippies. Opposition grew with participation by the African-American civil rights, women's liberation, and Chicano movements, and sectors of organized labor. Additional involvement came from many other groups, including educators, clergy, academics, journalists, lawyers, physicians, and military veterans. Their actions consisted mainly of peaceful, nonviolent events; few events were deliberately provocative and violent. In some cases, police used violent tactics against peaceful demonstrators. By 1967, according to Gallup Polls, an increasing majority of Americans considered U.S. military involvement in Vietnam to be a mistake.